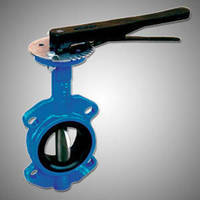 Butterfly Valve has lightweight, compact design. Butterfly Valve meets variety of process application needs. 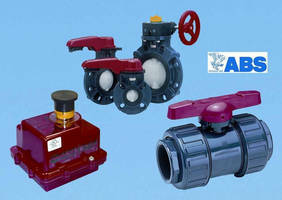 All-Plastic Lug Style Butterfly Valve offers extended service. 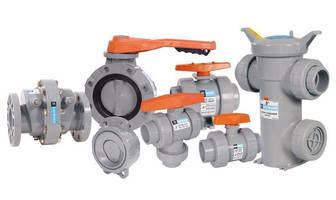 Butterfly Valves offer metric flange connections. 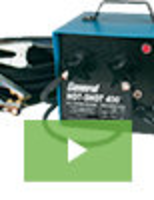 Fire Protection Valves handle pressures to 350 psi. Butterfly Valve has inflatable seat. 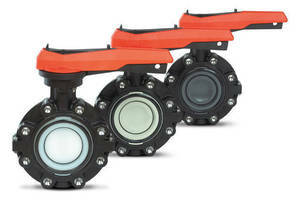 Large Butterfly Valves feature one-piece, through-stem design. Butterfly Valves install seamlessly into piping systems.